The other day two teachers stopped by my room (independently of each other) with the exact same question. They have given assignments to their class and set a due date. However, some of their students have a different due date than the teacher set? Huh? What’s happening? I have a good idea of what is happening here. 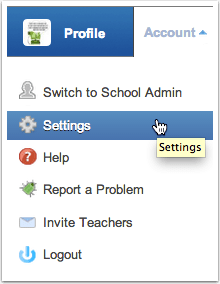 The timezone on the teacher’s Edmodo account and the timezone on the student’s Edmodo account is different. Changing these timezones is easy. It’s the same for the teacher’s account as it is for the student’s account. Read on past the break to see how easy it is to do this. 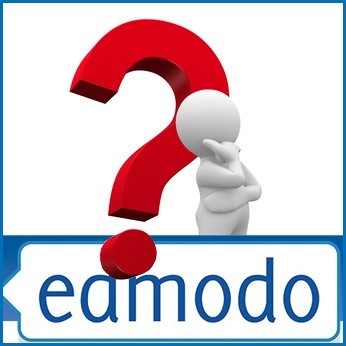 Setting the timezone in Edmodo may not seem like the most important thing to do but it can cause confusion if it’s not done. For example, if you have a timezone that is different than your students assignments and posts can show up and time stamped completely different than what you have. This can be particularly confusing when one student has a due date for Friday and his friend has the same assignment due on a Saturday. In the top right hand corner you can click on the Account link (right next to your Profile) and then select Settings. 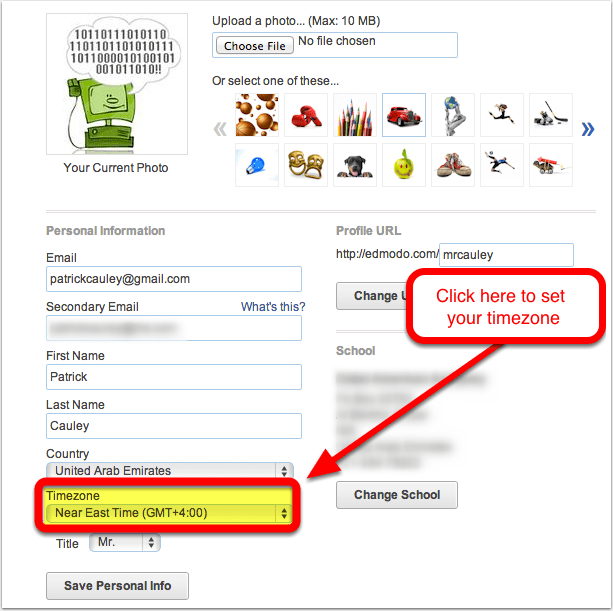 Change your timezone and then click on Save Personal Info. Then make sure your students are all on the same timezone as you. This will make sure that all your assignment due dates are the same throughout the class. This entry was posted in Edmodo and tagged due dates, timezone. Bookmark the permalink.